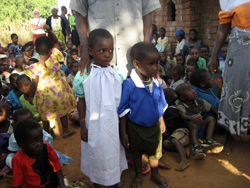 Little Dresses for Africa was brought to my attention by Joanna Henrichs of the Diocese of California Altar Guild and Sewing Room. 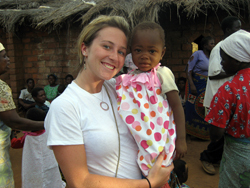 This charity, started by Rachel O’Neill, sends dresses for girls up to 9-years-old living in orphanages in Malawi and other parts of Central Africa where the need is huge. The patterns are not complicated. Even the simple pillowcase dress can be made by a moderately novice stitcher. Joanna used the semicircles cut from the arm holes for pockets and trimmed them with bits of ribbon or rickrack to make a pretty, feminine addition. 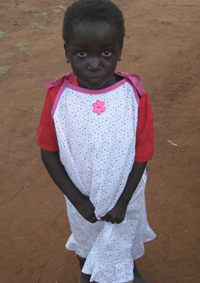 In the Diocese of California we are asking that dresses be brought to our general meeting on October 9, where they will be blessed by our bishop and then forwarded to Rachel for shipment to Africa.